There are a variety of options for those learning Chinese and Chinese culture to study abroad. 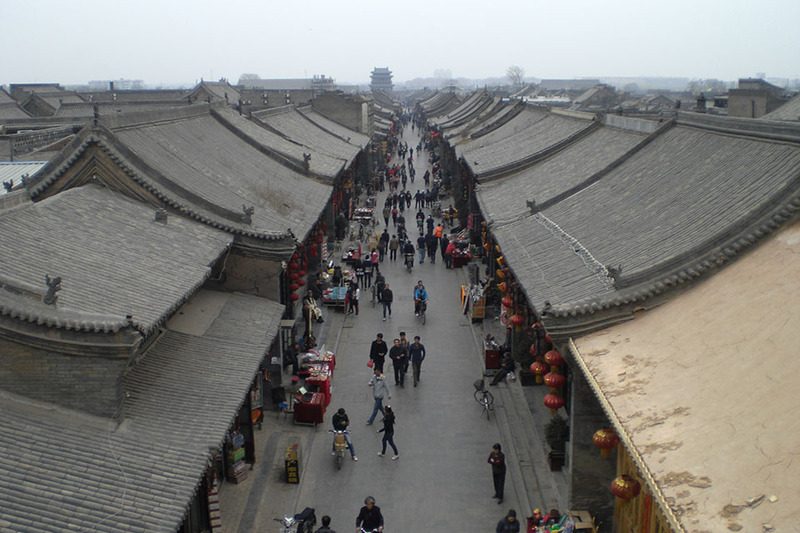 Studying in China exposes you to new ways of living, learning and interacting. You may find yourself navigating Chinese cultural encounters, experiencing traditional Chinese foods and different customs—and all in Chinese. Many study abroad in China to gain important cross-cultural perspectives, conduct research, work on language skills, or learn more about the burgeoning Chinese economy. This page contains information that will assist those studying Chinese determine how best to integrate study abroad into their Brandeis careers. Studying in China exposes you to new ways of living, learning and interacting. You may find yourself navigating Chinese cultural encounters, experiencing traditional Chinese foods and different customs—and all in Chinese. Visit the Brandeis Approved Programs List to review a comprehensive list of programs that offer Chinese language coursework. Click on "Advanced Search" to filter options or search for unique program traits like internships or research. Additional programs might have acceptable coursework, but this list shows the primary locations where Chinese language courses may be available. To assist students with their academic choices abroad and to help answer any questions about receiving credit while abroad, each academic department and program has assigned a faculty member to serve as the Study Abroad Liaison. Students studying Chinese who plan to study abroad should speak with the study abroad liaison before they go abroad, and again once they have returned from study abroad. The liaison for Chinese is Prof. Xiwen Lu (Spring 2017). Students wishing to receive Chinese Language Program credit for work done off campus during the academic year should discuss their desired coursework with their study abroad liaison for Chinese Language. After returning from abroad, complete the electronic Petition to Request Substitution for a Requirement form. The Helen Ke scholarship is available to students interested in studying abroad in China and learning Chinese. Note: this scholarship is the only Brandeis Study Abroad Scholarship that may be awarded to students without demonstrated financial need. This scholarship is also matched for students attending an approved CET program in China by CET. Studying abroad was definitely the key moment in my Brandeis life. "Studying abroad was definitely the key moment in my Brandeis life. I spent six months abroad, and it changed my perspective on life in so many ways. When I came back, I felt like a new, more interesting person, someone who had friends halfway across the world and spoke a foreign language. I went to China to learn the language and took some language-intensive programs, but even with all the schoolwork there was so many other things to learn that every day was fun and interesting. It also completely opened up a whole variety of career options, as companies, fellowships, and grad schools all love candidates that have spent extensive time abroad. It alerted me to the idea that all peoples around the world have similar desires but different ways of meeting them; for me, I realized that there was a whole hidden world of Chinese comedy that few were exploring, and I managed to get a Fulbright grant out of college to research Chinese comedy rather than working in sales or marketing back in the US. Overall, studying abroad is a great way to have an amazing time full of unique experiences in a short time." "During my sophomore year at Brandeis University, I decided I would spend one year studying abroad in Shanghai despite the fact that I had never been to china before and spoke no Chinese. I studied Chinese for a year at the Shanghai University of Finance and Economics and Fudan University. During this time I had the pleasure of exploring Shanghai, a city colossal in both its scale and expectations for the future. Shanghai is changing and developing so fast; and it will change you. I'm currently employed at Spring Airlines, China's largest privately operated airline. I work in an office where little English is spoken and I must speak, read and write Chinese everyday. I would not be where I am today if I had never studied abroad in China. While Brandeis has excellent Chinese instruction, any serious student of Chinese must spend a significant amount of time living in China. And it's not only the language you must learn, Chinese customs, behavior, and society are best learned by living, working and studying together with Chinese people. For any student interested in studying abroad in China, my advice is: take the leap. And if you do decide you want to come here, I highly recommend that you spend at least two semesters in China. Four months is just not enough to immerse yourself in this incredible world."